Book your free 30 minute Accounting "Success Check"
Meeting your goals—on your terms, and according to your schedule. By most standards, that’s the definition of success. Helping you meet those goals with affordable accounting services. That’s our definition of success. 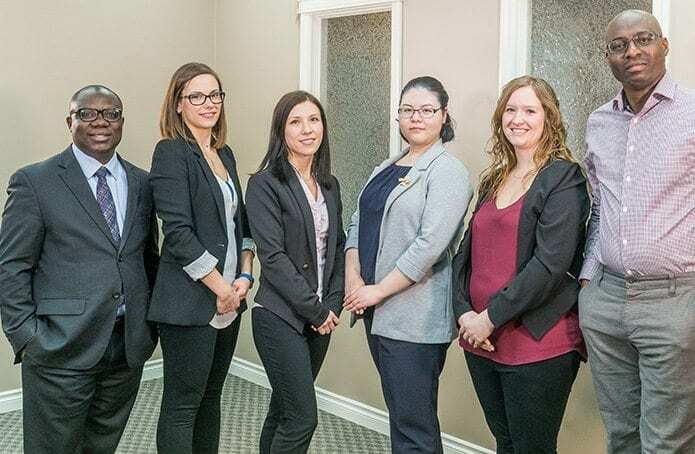 We’re KAFT CPA, and we focus on providing comprehensive accounting and tax services for business and personal clients in Cold Lake and Bonnyville. Because we know that a great accountant can make all the difference between success and failure. Running a business in Cold Lake? Forget your preconceptions about accounting. Starting a business in Bonnyville? Put aside the stereotype of the “stuffy accountants” or the tax advisor with the oversized calculator. Our modern, collaborative approach to providing accounting services and bookkeeping services will help you do more, make more, and save more. Grow your business. Save your money. With KAFT CPA: The Success People™. To grow your business, you need accurate and timely financial information. If you need help with day-to-day bookkeeping tasks as well as accounting services, trust KAFT CPA. Better information means better decisions. And if you need information on risk and exposure, KAFT CPA can help. You can approach your taxes two ways: reactively or proactively. At KAFT CPA, we favour the latter. You’re busy running and growing your company—but sometimes you could use unbiased advice. If you’d like to grow your business, then our accounting services in Bonnyville and Cold Lake are for you. KAFT CPA provides accounting for small businesses and professional services, healthcare and medical practices, corporations, and service industries, as well as personal tax services. Book your FREE 30-minute Accounting “Success Check” Now! At KAFT CPA we’re here helping people achieve success, both in business and personally. Follow our blog to get expert tips from KAFT CPA.